I’m on Facebook now, are you? My friends and even my sister is convincing me to join Facebook and I would say, I’m okay with Friendster. I don’t feel the need to join Facebook. Until finally, last week I decided to join the bandwagon. And what can I say? I like Facebook. I like their features especially the Wall, Tag and Chat. And I think it’s more secure than Friendster. 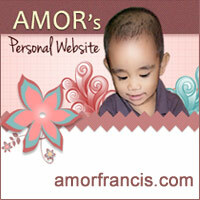 I just wish the profile page can be customized using CSS. I “created” the picture above using the application found in mywebface.com. You will be required to download a toolbar to be able to turn yourself into a cartoon. There’s a huge selection of facial features, characteristics, looks and styles to choose from. I like the application at first but it slows down the CPU tremendously, Firefox and IE also crashes sometime. So I removed the toolbar after creating 3 cartoons. Welcome to Facebook! Haha. It’s fun pero sa una, nakakahilo. Ang daming applications, games, etc. Ang gulu-gulo! Haha. Everyone is into Facebook these days. Ako, I just like updating my status (shout outs) kasi you get lots of replies from your friends. It’s a great way to keep in touch kahit dun sa mga taong di mo naman masyadong ka-close. ok ang facebook pero pagpinatulan mo lahat ng games eh ubos ang oras mo gaya ko. I even got lazy to blog kaka games. 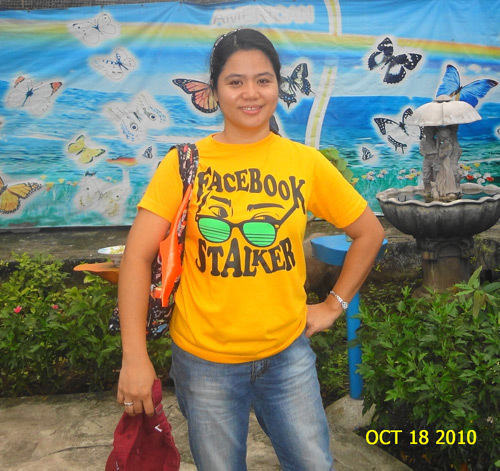 I like Facebook better than Friendster. Mas neat and much faster. Ang daming spam ng friendster eh. 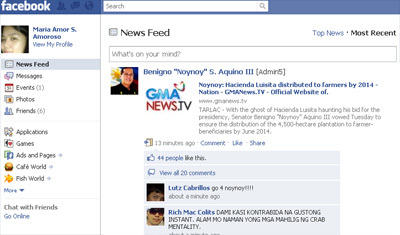 Besides, mas ok ang mga features ng FB. Been on FB for along time kc sa school nga uso but I do have friendster account for my old classmates to find pero sobra baga at clutter. Sa FB nakita ako ng mga classmates ko aftyer 20 yrs katuwa. I add you na so see there.